Should read, Boots of the "Endless Morning Wood". These boots dropped off the world-boss Emeriss. She was removed with The Shattering, and the item is now unobtainable. 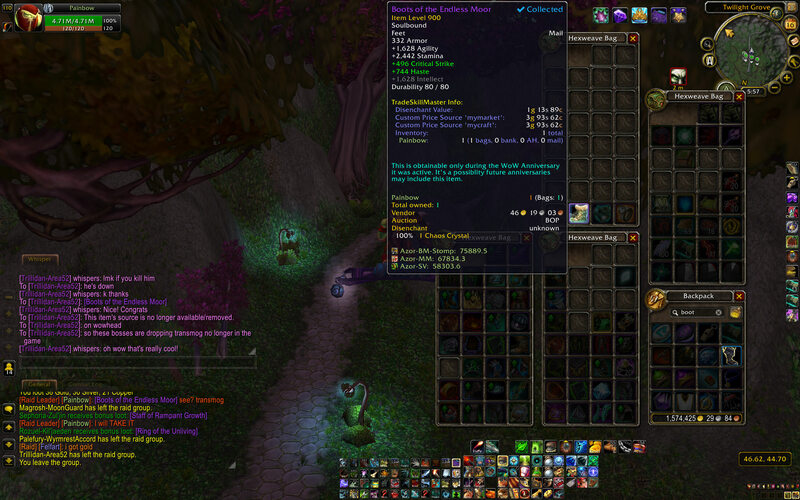 So these boots just dropped off Emeriss in Duskwood for my Hunter during the 13th Anniversary.